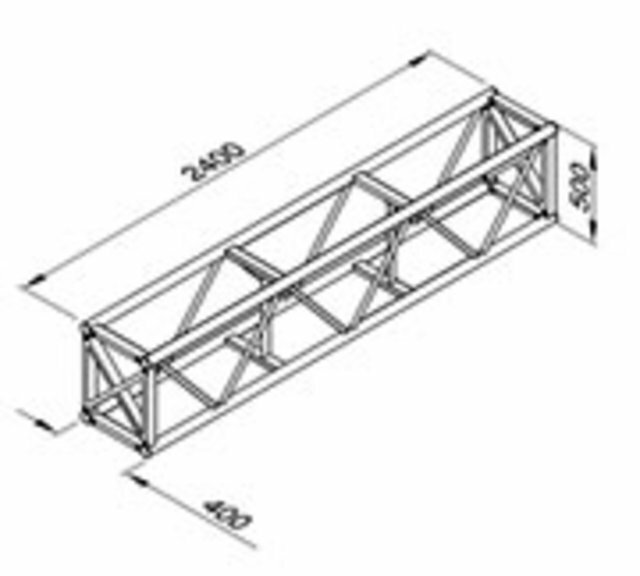 The largest in the Metalworx truss range, DT (Drop Truss) is the choice where strength and span are the prime consideration. Designed originally as a space and time-saving option for transporting pre-wired lighting bars with pre-rigged short/standard Par 64 luminaires, DT continues to be used in its own right to great acclaim. In addition to all the customary fixed system capabilities, winched and chain hoist ground support systems are also available. 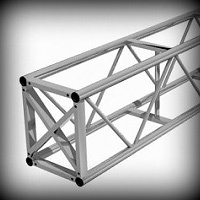 Typical applications include theatre and concert stage lighting, curtain and screen support, and outdoor roof systems.